– The Semifinal match between GM and ZSJ was quite the clash of styles on paper. GM’s Mexican heritage was embodied in his Lucha Libre spirit, while ZSJ primed himself as a ground-based British prince on the art of escapism. Memorable start as GM hit a dropkick, Tope Con Hilo and springboard splash on ZSJ in the first 15 seconds. ZSJ then targeted GM’s neck in the first half before GM battled back to apply some hurtful submissions on ZSJ. Incredibly fast-paced and competitive, as the crowd dug every second. Some cool counters as we saw GM fight his way out of a cravat lock from ZSJ when he got caught in it from a springboard aerial maneuver. Back and forth to the end where GM went over with his Metalik Driver for the win. Definitely thought ZSJ would go over based on the matchup (as did others), but we liked this because ZSJ was popular no matter what, but GM had made his name in the tourney, so it was cool to see him be able to go from the first match to the last one. – In addition to the tourney matches, we were treated to a tag team bout that would pit Johnny Gargano/Tommaso Ciampa (deemed DIY) against CWC favorites Alexander/Dar. The Gargano/Ciampa backstage promo hyped the match as the goal was clear that DIY were coming for the NXT Tag Team Championships and wanted to send a message to the Champions, The Revival. We had still a turn in the back of our minds, but with an inevitable showdown between DIY and The Revival still to come, it wouldn’t make sense to do it here. – We know that Alexander-Ibushi probably had the match that put CWC on the map, but as great as that match was, it might’ve been rivaled in terms of performance by the Semifinal match between Ibushi and TJP. We already had a great story headed in as we knew that Ibsuhi was the CWC’s golden boy favorite to win while TJP fully embraced the role as the underdog. TJP looked smart in the way he had Ibushi’s kicks well-scouted in the opening minutes. A key spot early on was TJP’s counter of Ibushi’s signature triangle moonsault, as he kicked his knees before he could hit the move to make Ibushi fall to the floor. There was a desperate pace in the air for both men as they went back and forth. Ibushi soon hit his moonsault again and connected this time, adding momentum when he hit a pele kick to knock TJP off the top rope. TJP countered the Last Ride Powerbomb into a well-placed DDT for a great near-fall. This would become the theme of the contest, as they exchanged close near-falls. Ibushi fought out of the kneebar and hit the Last Ride Powerbomb again for the near-fall of the tournament. People were legit shocked at that and rightfully so, as nobody had kicked out of it before. The energy in the building easily surpassed the first match. Ibushi missed a phoenix splash and upon another attempt at the Last Ride Powerbomb, got caught in the kneebar in the center of the ring and had nowhere to go once TJP extended a crossface where he stretched the neck to make him tap out and complete the upset of the century. Wow. What a bout. TJP’s post-match promo was genuinely heartfelt, as he commented that he took things one match at a time and even though his ultimate goal was close, it was still far. As loud as his charisma can be in the ring, he’s pretty soft-spoken on the microphone. It’s kind of ironic. – The Alexander/Dar backstage promo further hyped the tag match as Dar claimed the team needed no game plan but to on the same page for three seconds. Alexander also showed some good confidence where he said that beating DIY wouldn’t be considered an “upset” because it could be done. Good choice to showcase the other team in this case, as Alexander carried the bulk of the promo work and it made sense given that he was popular among the Full Sail University crowd. – The Dar/Alexander-DIY match was all about Alexander’s Full Sail return as they completely embraced him with chants galore while DIY got built up for their soon-to-come match against The Revival. Probably designed to be a “buffer” after the previous bout, the plan backfired once it became apparent that the energy level would be kept exactly the same. Ranallo best described it as a “Cruiserweight demolition derby” as there were kicks, flips, flops, holds and Tope Con Hilos to go around the world. The crowd was hot for all four competitors and it looked as if everyone was on an even level, even though we never questioned the final outcome. It was also interesting that Alexander was shown to come as close to a three-count as humanly possible, even to the point where they played it up with an instant replay. After that point, we figured they’d “bring it home” as Gargano/Ciampa hit double kicks on Alexander and Dar separately to get the win. Good match to keep in line with the rest of the card. – The Finals match between TJP and GM had its share of pomp and circumstance as we had input on commentary before the match as NXT General Manager William Regal and Raw/NXT Commentator Corey Graves gave their thoughts on the process of the tournament and what it was like putting it all together. Nice insight from the both of them and it had us thinking what it could possibly be like in a second or third year. Another cool moment before the bell as Triple H came down to the ring to formally present the CWC trophy and announced that the winner would also become the new WWE Cruiserweight Champion as he unveiled the new belt. 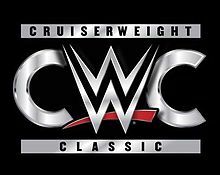 This was also to hype the coming of the Cruiserweight Division to the Raw brand. There was impressive chain wrestling to start things out before they mellowed out to rest holds and the like. TJP applied a nice reverse pendulum. GM continued his aerial assault with a sick frankensteiner where he dove over the top rope and sent TJP flying off the apron. On top of that, he hit a second rope plancha. These two had excellent chemistry on a high-flying level and quite the cool matchup to end it all. We knew it couldn’t last forever, so once GM played up his knee, that would lead to the finish where TJP hit his kneebar as a counter to GM’s avalanche driver attempt to make him tap out and become the winner of the inaugural CWC and new Cruiserweight Champion. TJP’s post-match promo brought up his time of homelessness and how it wasn’t just him who won, but everybody involved. Classy stuff as he was officially presented the belt and trophy by Regal/Triple H. If you looked at TJP’s chest, there were some cringe-worthy welts on there from GM’s harsh slaps. Overall, a fun match to an excellent tournament that was better than we ever thought it’d be. We hope this becomes a yearly thing, but hopefully the novelty won’t wear off if they overexpose the Cruiserweights on Raw. Guess time will tell there. Posted on November 5, 2016, in WWE and tagged Bayley, Cedric Alexander, Corey Graves, Cruiserweight Classic, Daniel Bryan, DIY, Gran Metalik, Jack Gallagher, Johnny Gargano, Kota Ibushi, Mauro Ranallo, Noam Dar, Rich Swann, Sasha Banks, TJ Perkins, Tommaso Ciampa, Triple H, William Regal, Zack Sabre Jr.. Bookmark the permalink. Leave a comment.